Join the DM Scuba Team! If you're a PADI Divemaster, Assistant Instructor or Instructor and you're looking to increase your experience here in the UK then why not come and join us at DM Scuba! Due to an increased demand in the South West for our unique style of personal teaching, we're always on the look out for friendly, reliable, team players who already have a full time career and are as passionate about Scuba diving as we are! If you're stuck doing the same job 9-5 Monday to Friday and find you're simply not using your Scuba credentials come and help us! Keep your hand in and do something different by helping out the next generation of divers that come up through the club or come to us directly for training. DM Scuba is a not a retail shop, so we only operate when we teach! Our Thursday evening pool sessions and weekends are when we're generally busy. 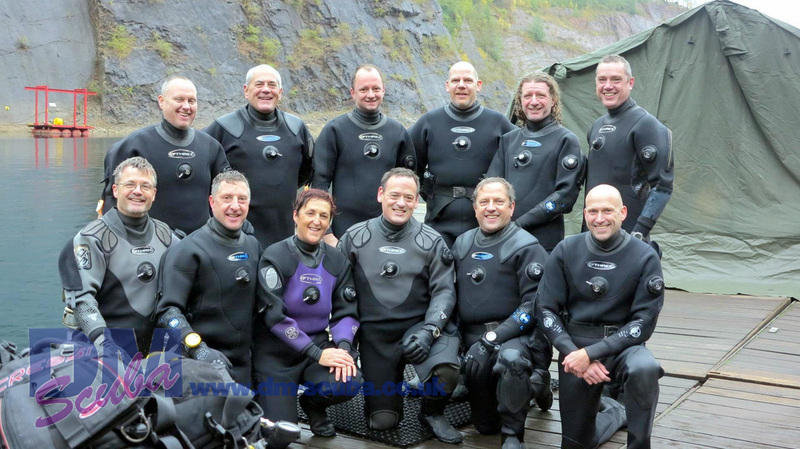 If you have UK / Dry suit diving experience and own all of your own kit, but find UK diving a little expensive then this would be perfect for you! Newly qualified or recently certified Instructors or DMs are more than welcome to apply as well. You only need to commit to a few pool and Open Water sessions per year to reap a whole load of benefits which makes your own personal diving a whole lot cheaper and depending on how much you help out the benefits simply keep increasing. You don't need to sort out students kit or load and unload the van or stand by a compressor filling cylinders for hours, we do all of that. You just turn up and work with your allocated student(s). Giving them the personal attention that DM Scuba is known for. If you're renewed and in teaching status with PADI and interested in working with one of the best teams in the South West, please send a brief CV with recent photo and or cover letter and title your email “DM/Instructor Application” in the subject line, then email to (instructor@hotmail.co.uk).